These banana donuts are a perfect grab and go breakfast to enjoy on a busy morning. 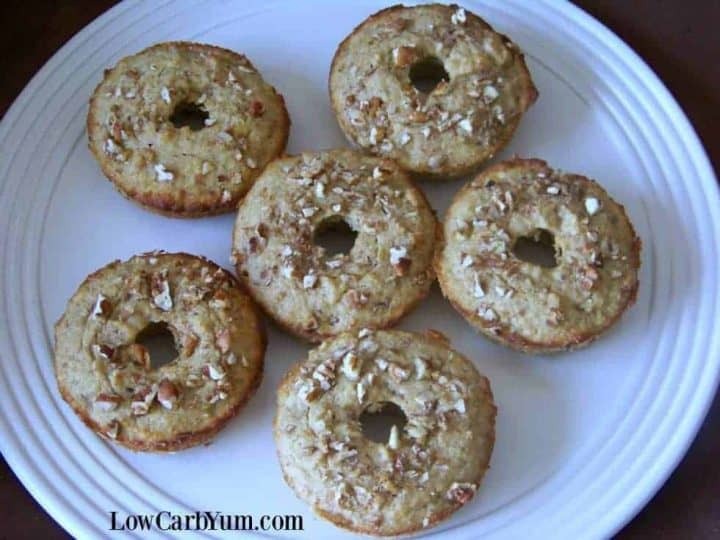 They can also be made as low carb banana muffins. Although these donut shaped banana muffins are quite tasty, they aren’t what I set out to make. 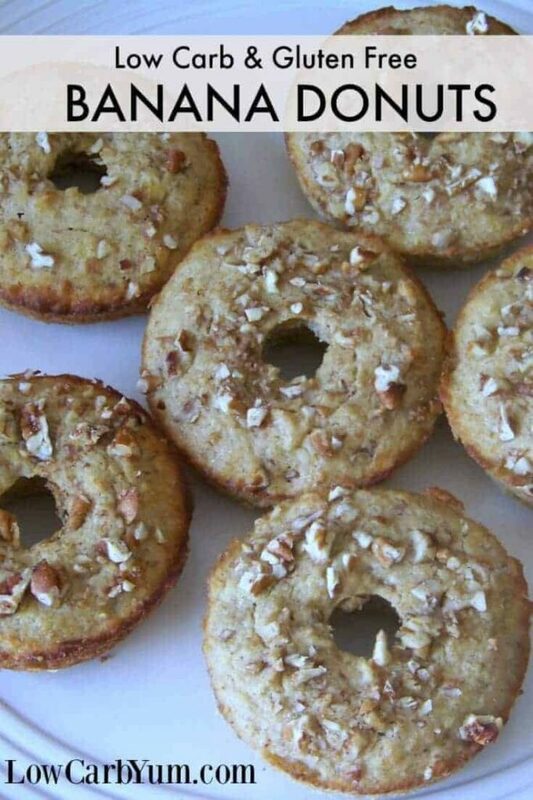 These are a failed attempt to bake banana nut bagels. The finished product was sweet and has a muffin type consistency, very similar to a cake. In fact, this batter would be well suited for a banana cake if baked in the right pan. I also suppose you could turn them into cupcakes. They just need some banana flavored cream cheese frosting to top them off. Typically, I do not use real bananas in low carb recipes because they have a high glycemic index. However, the oat fiber has zero net carbs so there is room for higher carb ingredients. The banana extracts are good, but they are no comparison to the real thing. 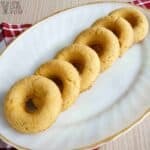 To cut the carbs significantly in this banana donut recipe, I would try just one banana and a little banana extract. 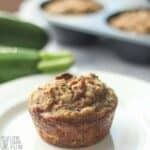 I’ve been eating one of these low carb banana muffins for breakfast. At less than 10g net carbs per donut, it isn’t a lot of carbs for the morning meal. However, if you were to only use one banana in the recipe and add in banana extract, it cuts the effective carbs to about 5g. I may try reworking the batter so the texture is more like bread rather than cake to get those banana nut bagels I wanted. And, I’m sure that I can get a more savory bread with a lower carb count. These banana donuts were a nice mistake and even though it wasn’t what I was originally going for. I do want to work the batter into a cake or cupcakes. But, you can bake them in a cupcake mold for delicious low carb banana muffins with the batter as is. I love cream cheese frosting, so if you add that to the muffins, you’ll have yummy banana cupcakes. These are certainly treats you could serve to your friends who don’t do low carb. 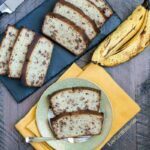 I’ve also made a delicious low carb banana bread that you can find here. 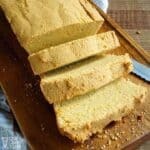 It uses my basic low carb quick bread recipe as a base. 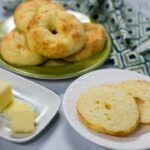 Hopefully, I’ll find time to create the low carb banana nut bagels soon. Donuts are so sweet and go so well with morning coffee. 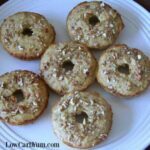 This low carb banana nut muffin donut is a perfect grab and go breakfast to enjoy on a busy morning. Beat butter with erythritol and stevia until light and fluffy. Add vanilla. Combine oat fiber, almond flour, salt, cinnamon, and baking powder then blend into butter mixture. Fold in nuts, saving a few for sprinkling on top. Pour batter into greased donut pan (or muffin tins). Sprinkle reserved nuts on top. Bake in 350 degrees F oven for 25-30 minutes or until toothpick inserted comes out clean. NOTE: To reduce carbs, one banana or more can be replaced with banana extract and an extra amount of almond flour. In my owntown the banana is so sweet,so I reduced some sweetener. Thak you very much for your kindness. Hello. 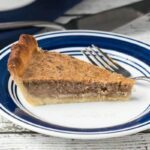 Do you think walnuts will be okay instead of pecans? Thanks. Yes. I’ve made the recipe with walnuts too. I happened to have some homemade Oat flour in my cupboard and I always have Almond flour on hand, so I decided to make these as 12 muffins the other day. They are absolutely delicious! I don’t have Stevia Concentrated Powder, and because I have never used it, I didn’t miss it. I had 3 medium bananas that needed to be used up, so they all went in to the mix. These muffins came out so moist and flavorful. 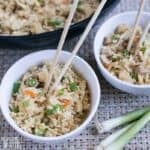 I will definitely be making these over and over again! 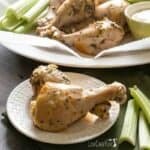 Thank you Lisa for the great recipe! Hi Lisa, I can’t find oat fibre in my city and I was wondering if you think psyllium fibre would work? I think I it is also insoluble and would add some fibre to the dOnut, but not sure if it would taste good or have the right texture. 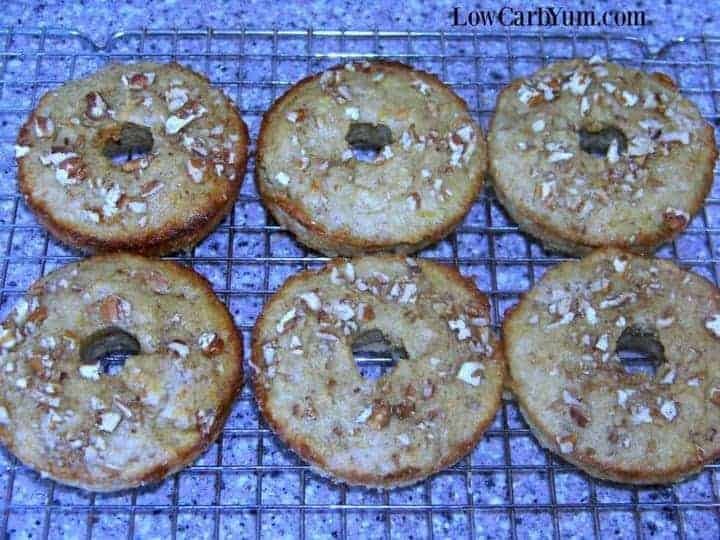 I am currently making these donuts with the coconut /almond flour mixture and that is nice, so I’m not desperate for a substitution. Ground flax seed would be a better one-for-one replacement. You could try psyllium, but amount needed might be different. I reduced my banana to one, Substituted 1/2 Cup coconut flour for the oat flour, and added 1 Cup Unsweetened coconut milk. 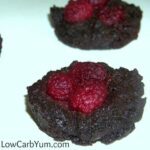 Baked them in lined muffin tins, and it increased the portion to 12, thereby making them lower in carbs!